From their renowned housekeepers to their efficient commercial cleaning service, you will not be disappointed by any of Fresh Maid Services’ work. They have made their service available from Monday to Saturday and strive to fit into their client’s daily schedules. You will be able to choose between a weekly, bi-weekly visits or whatever suits you best. They work closely with their clients to make sure their maids clean and organize exactly what the customer wants, so they can always guarantee satisfaction. As their name suggests, Revive Cleaning Service is all about bringing your home to life again. From their regular house cleaning service to their moving out clean option, you will be able to customize their package to suit your home. This also applies to your schedule and they will only visit when it is most convenient to you. Their service remains affordable even though they never use cheap cleaning materials and their staff is highly trained. This dedication to their work has made them one of the most popular maid services in Texas. 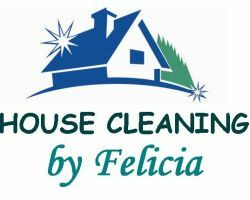 If you are looking for a housekeeper in The Woodlands then you should search no further than Felicia’s House Cleaning Services. Their expert maids are highly trained in every aspect of home maintenance and cleanliness. They first visit your home to give you an estimate on time and then present their competitive prices. They are able to provide tailored services to exactly what you need. You will be able to direct your maid to your expectations and then sit back and relax. There are so many The Woodlands cleaning services, that it becomes very difficult to choose which is the best for you. 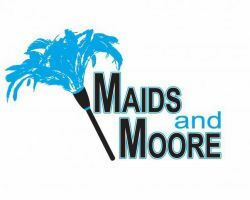 Maids and Moore, founded by Holly Moore, is one of the very rare kinds of cleaning service that truly care about the homes of their clients. With their own developed cleaning system, every home or office cleaning service they have ever offered has been carried out to a highly professional standard. You will certainly not regret bringing these cleaning experts into your home or workplace. The slogan of Merry Maids is: “Relax. It’s Done.” This is a fantastic summation of the work they do. Reviews from previous clients state that the maids from this company seem to be able to read minds and carry out details of the clean that the customer forgot to ask for. This maid service in The Woodlands, TX is able to take on any project from acting as a small local house cleaning service to being able to clean whole places of business.